World has many cultures and customs , every culture has its own kind of music sense . Language and the accent on language change after every few kilometres , so as our music & it’s style . But there is an interesting fact about music that we may not understand the song of other languages or of other cultures but if we listen it deeply , We are going to understand the emotions behind the song . After listening to it for just one or two times , We are surely gonna feel that which kind of theme this song is having , the emotions behind it . It means our culture may be different but we are united by our emotions , that’s the power of emotions . We could activate this power from music . Now , We could use this power to motivate us and that’s for maximum time . When we say music , It’s not only one genre of songs . It includes all sorts of music of societies . It could be cultural music which differs from place to place or instrumental music or songs of any languages . I believe music is there in every one’s life . It is possible that one may not like Bollywood or Hollywood songs but he must like the another kind of music . It maybe his own cultural theme of music (of his roots) , like it’s ‘Nattupurapaattu’ for a Tamil guy & ‘Haryanvi Ragini’ for a Haryanvi guy . Same way , If a person doesn’t like the pop songs , he may like sad songs & if a person doesn’t like sad / emotional songs , He may like romantic songs . Further , If a person doesn’t like songs at all , He may like the playing of any music instrument . It maybe guitar , harmonium , flute or something else but somewhere we are connected to music . Let we jump on the music and motivation . Music could motivate us in two ways one is for short time and other is for longtime . Let me discuss one by one . When we listen to our favourite music , It gives us happy feelings , It boosts up our energy and emotional level . We start feeling good even if we were in bad mood . Music has that power to enhance our spirit level in short time , provided you listen to your favourite music . You could find a list of motivational songs on Internet as well . Adding to this , when we watch the video (video song) as well , it makes the double impact , when we have visuals along with audio . It attracts our mind more & make sensing in short time . It happens because we attach our emotions to the emotions which are going on in the song , we make it one . We get into the aura which is created in the song . If the song is based on 1990s , We get back in that time and forget the reality for sometime or as long as the song goes . We start feeling good because we get into a fantasy world , which is created by a group of teams . But , why don’t to use it , if it is a great help for stress relief . It gives us instant result in short time but lasts for short time as well because once the song ends we get back in reality . Now , If you want to remain energetic and motivated from music (for more time) , check out the second way below . By saying long – time motivation in the prospective of music , I mean to keep the energy and motivational level up even when you are not listening to music . It is quite possible for us and sometimes we do this . In the first part , I asked about the motivation by listening to music . In this part , I’m talking about the motivation by humming music / song . Everyone has a list of his favourite music / songs of any genre . There are always some songs / music which is related to our childhood . Where ever we get to hear to that song or music , instantly we get back into our childhood , the sweet memories , happy memories and again our mind goes back into fantasy world and we get away from the stress and extra burden of mind . You could use this method intentionally as well , that whenever your mood is off just remember that song or music & get back into your childhood . After that , You would get motivational energy and happy feelings . You may have experienced it many times that you hum a song in the night and you remember the song very first in the next morning . When we love something , It has the power to control our mind , then why not to use this power in the positive way , for self improvement . It’s not about only songs , even music of any movie , TV telecast could motivate you in different ways . Imagine , You were having a favourite superhero in your childhood days . It was your most favourite TV telecast and you used to like it so much . There was a title track of that telecast . When it used to start , the title track used to come first before every episode . If you hear the title track anywhere , You get into that era & start remembering the good work done by your superhero in that TV telecast . It is just a nostalgic moment . Now , You could use these feelings for your self – motivation . It’s all the act of imagination . Whenever you want to make your mood good & happy , start humming the title track of that TV broadcast or music related to any TV telecast or movie , which is going to make you remember your favourite scenes and let you feel fresh & stress free . In general , We’ve a list of our favourite music , songs in every stage of life . Let’s say if you are into your professional life , then you could imagine your favourite music and songs of your school days or your colleges times . So , that is going to give us immense peace and relax of mind . If you are above 50 of age , You could remember your favourite music when you just started your job or when you were 35 of age . In whatever age you are , when you look 8 or 10 years back or more in regard of your favourite music and songs of that time , You start remembering the picture of the time & like it so much . 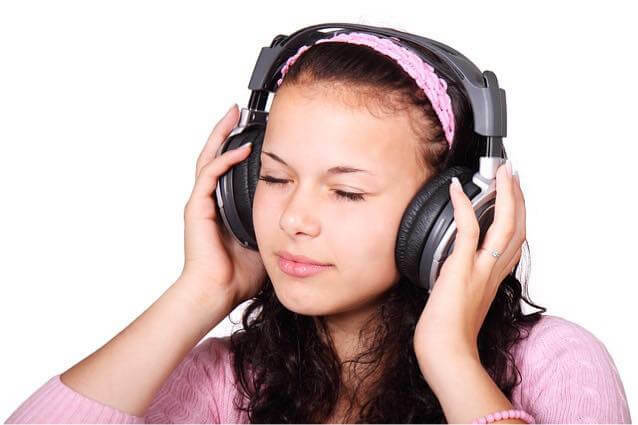 When you would get into the habit of remembering your favourite songs , music in diverse time , It would help you to come out from stressful situation of mind . It is surely going to make certain changes in your lifestyle . It’s like when you would be in queue of a shopping store for billing , people would stare here & there while waiting for their count but you would be quite happy by getting into another world . All along , there is a serious warning attached to it . You couldn’t travel through fantasy world all the time . It’s a real world and you have to live in the real world . But only sometimes when it’s a stressful or depression like situation for you , there you could use this fantasy world for your progress , for your benefit . I never advocate the idea to not facing the real world . It would harm your social image .